As organizational members, we spend an increasing amount of time working in inter-organizational networks. These networks may be called task forces, coalitions, collaboratives or have a catchy name all their own. Networks play a critical role in addressing large, complex issues such as poverty, homelessness, school readiness, economic development and obesity. No one agency can tackle these issues alone. The more time I spend working with networks, the more I realize that many, if not most, do not have the capacity to make the change they intend to make. Therefore, I offer the following nine tips for network success. These tips come from the published literature on networks and are reinforced by my own experiences and research on collaborative network capacity. 1. Only join networks your organization is willing to commit. Networks take A LOT of time and energy. For a network to succeed, it must be a priority for the individuals representing the organizations and the organizations themselves. Don’t spread yourselves and your organizations too thin. Prioritize among the opportunities that are available to you just as you would prioritize other types of projects or initiatives. Less than full participation in a network is a waste of your time, your organization’s resources and the time and resources of the others in that network. 2. Be willing to participate, even without additional funds. Participating in a network should help your organization achieve its goals because there is an alignment between the network goals and your organization’s goals. If the only reason that your organization is interested in participating in a network is the financial resources it might receive, then the commitment is to the organization, not to the network. For networks to succeed, members need to be as committed to the network’s goals as to their own organization’s goals. 3. Commit for the long term. Even when all individuals and organizations are committed, change takes time. Individuals, and the organizations that they represent, must be willing to go the distance. This is why I write about both the importance of individual and organizational commitment. An organization’s participation in the network should not be solely dependent on the individual who represents the organization. 4. Work with people and organizations you know and trust. True collaboration requires trust. Working with people and organizations you already have a trusting relationship with allows you to move forward more quickly and confidently to the other steps in the process. Networks are a commitment (see tips 1 – 3 above!). Just as you would not jump into a long-term relationship with a person you just met, commitment will only come once trusting relationships are established. 5. Choose an appropriate governance structure. Shared governance, lead organization or network administrative organization—which is best for your network? Provan and Kenis describe these three structures for governing networks and prescribe the best fit based on levels of trust and goal consensus, size and the need for network-level competencies. Deciding on a governance structure at the outset will make it easier to manage the relationships and workload that are inherent to inter-organizational networks. Meeting often reinforces commitment, builds trust and keeps progress on track. An intense meeting schedule is a primary reason that individuals and organizations should only join networks that they are willing to fully commit to. Ansell and Gash identify face-to-face dialogue as a primary component of collaborative governance. 7. Have clearly stated goals and measureable objectives. Goal congruence is an important part of network success. It’s much easier to know if people agree on the goals if they are clearly stated in writing. Additionally, having measureable objectives will help to keep the network on track and provide targets around which activity can coalesce. 8. Have a method for tracking progress toward goals and objectives. Once goals and objectives are set, there must be a way to collect and analyze data to determine whether progress is being made. In my practical experience with networks and research on collaborative network capacity, I have found this to be one of the most significant challenges. The University of Albany’s Center for Technology and Government provides a number of useful resources addressing sharing of data. 9. Share your successes with others. Finally, if you can document your network’s success, share your success stories with others! 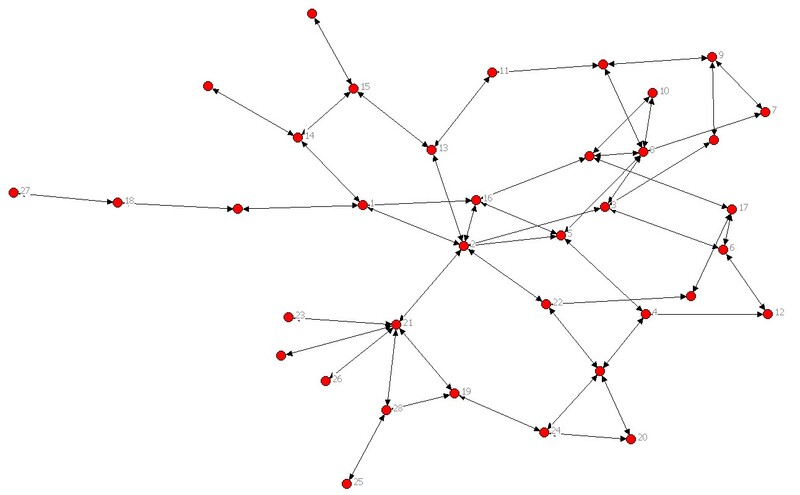 The practice of networks is outpacing theory on networks and we need to learn more from the documented cases of success.